WHAT IS A “SHANGLE® ”? The “Shangle®,” an idea conceived by CertainTeed over 30 years ago, is the original “laminated shingle.” The Shangle features a full-size, one-piece shingle as a base, to which individual shingle tabs or overlay pads are applied, providing extra protection and aesthetic enhancement to the roof. A Super Shangle® takes this idea one step further by using it on an 18″ x 36″ base layer, adding another full size shingle or another shingle layer and the shingle tags. Super Shangles feature deep shadow lines and a dramatic 8″ exposure. Ask any insurance adjuster and they will tell you that there are plenty of storm companies that try to pass off the blistering as hail damage. However, many times it is simply a defect of this particular shingle that resulted in it being discontinued. Blistering can be caused from trapped moisture or a lack of adequate ventilation. Hence, in the S.E. USA we have quite a bit of humidity that has lead to accelerated blistering of the CT Horizon. We see storm companies that try to push blisters as hail but not all contractors are created equal. There are good and bad roofing contractors everywhere. Most importantly, it’s always the best practice to hire local and factory certified companies. If you have a Horizon, should you replace it? At the end of the day, the Horizon can be much better on one home than another. It is rated as a 25 year shingle and we see it lasting about 18 years on average. That’s not to say that some have lasted as long as 20 to 25 years but that is rare. 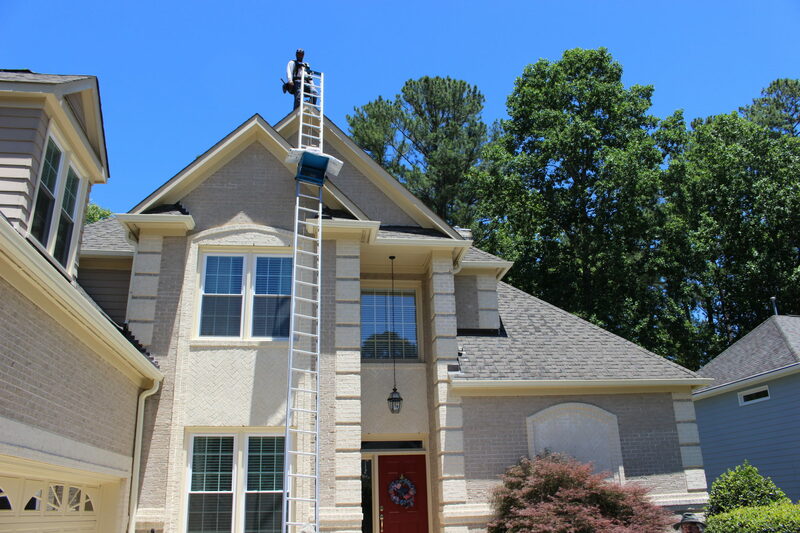 So, the best thing to do is to have a reputable roofing contractor perform annual maintenance on your roof. Most important, stay ahead of any problems that may occur. In conclusion, if your home has a CT Horizon at this point in time it’s always good to start budgeting for the inevitable roof replacement not to far down the road. Call a local and factory certified roofing contractor and ask their opinion about your roof. Stay local and stay safe!